If you subscribe to the Stitch (Papernstitch's newsletter) you probably read the news already! 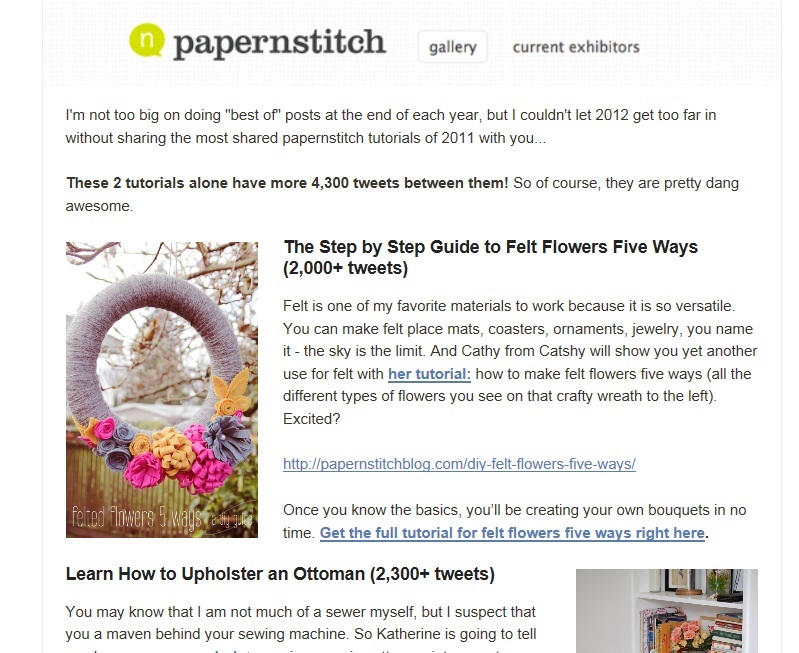 My felt flower tutorial is one of the top 2 shared tutorials on the Papernstitch blog for 2011 with more than 2,000 tweets. Thanks for sharing my tutorial! I love making felt flowers and glad that some of you do too! In other news, I'm hard at work writing my Catshy newsletter. What? You didn't know I had a newsletter? Well I do! :) If you want to subscribe, you can do so on the right-hand side of this blog. And if you do, I'll send you a 10% off coupon.